Summer Quinoa Salad! 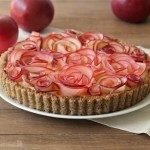 The perfect way to use and enjoy in-season produce this summer. This light, colorful and flavorful quinoa salad is filled with zucchini, eggplant, tomatoes and goes perfectly with entwine wine’s Pinot Grigio. I hope you give this salad a try! I can’t believe it’s already almost mid-July. Soon, I will be leaving for NYC where I will be taking a nutrition certification course. I am so excited you guys! I feel like since I’ve started blogging, I’ve learned so much about food and cooking from what I’ve read and watched, but I know I will be learning so much more during this class. I will be getting an in-depth and hands-on understanding of nutrition theory, and will be exploring the science of nutrition, nutrition in the marketplace, trends, and specialized diets through lecture and kitchen labs. I cannot wait! 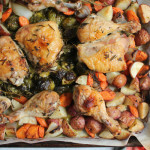 As a foodie, mother, home cook and food blogger, I feel like food is my life. And if you think about it, food is universal. Food is something we all have to think about so why not learn more? 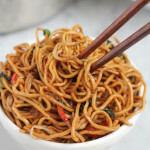 I also love the whole experience when it comes to food and cooking. 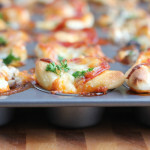 I love pairing foods together to make up that perfect meal. And I absolutely love pairing a good wine with a meal or dish. Today, I’ve partnered with entwine wines. These wines are not only affordable but they are also delicious and pair wonderfully with all kinds of foods. This summer, I’ve been enjoying a lot of Pinot Grigio! 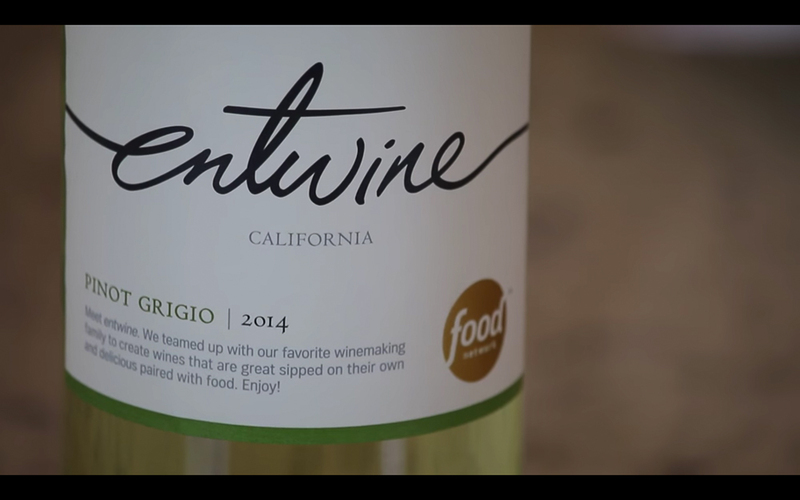 entwine’s Pinot Grigio is crisp, refreshing, and citrusy, like a green apple drizzled with lime juice and honey. 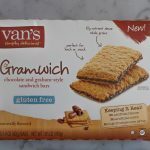 It’s so delicious and is one of my favorites! I’ve been making a ton of salad these days and this summer quinoa salad is a must make! 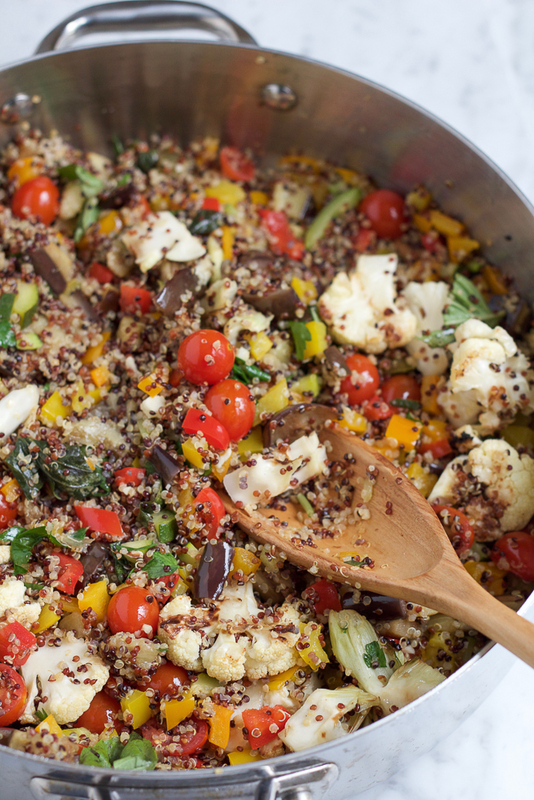 The vegetables and the quinoa are the stars in this dish and you don’t need to do a lot flavor-wise, because you get so much great flavor from all of the vegetables. I love how colorful, light and delicious this salad is and it pairs beautifully with this crisp Pinot Grigio. 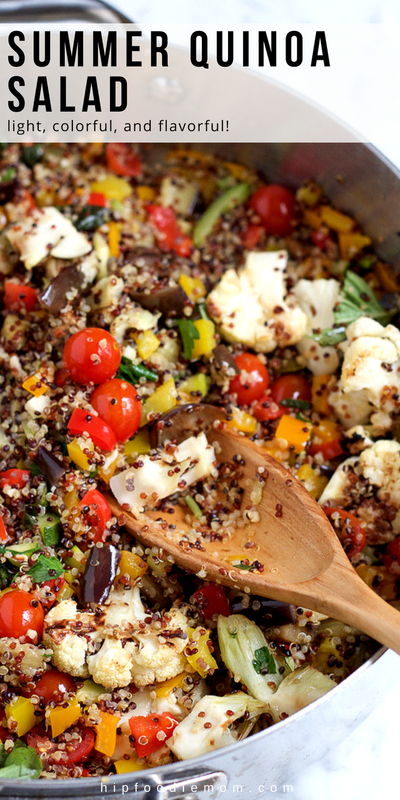 For me, this summer quinoa salad is the perfect meal. You guys have to try this! 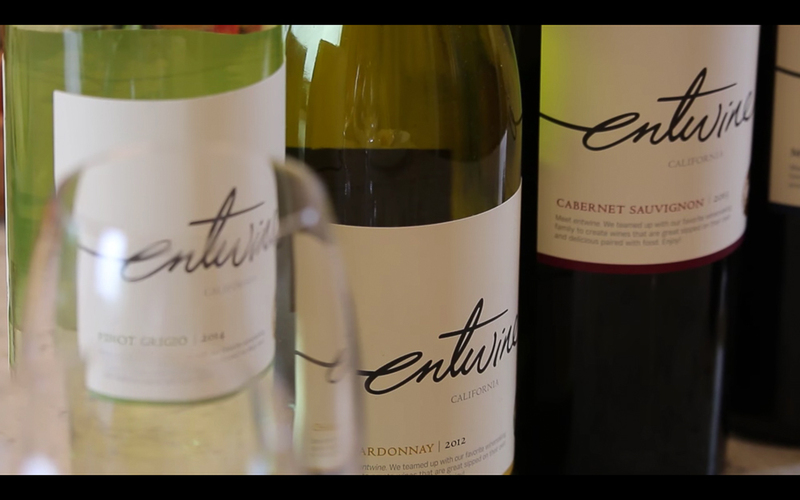 To learn more about entwine wines, and to see more recipe and wine pairing ideas, click here. 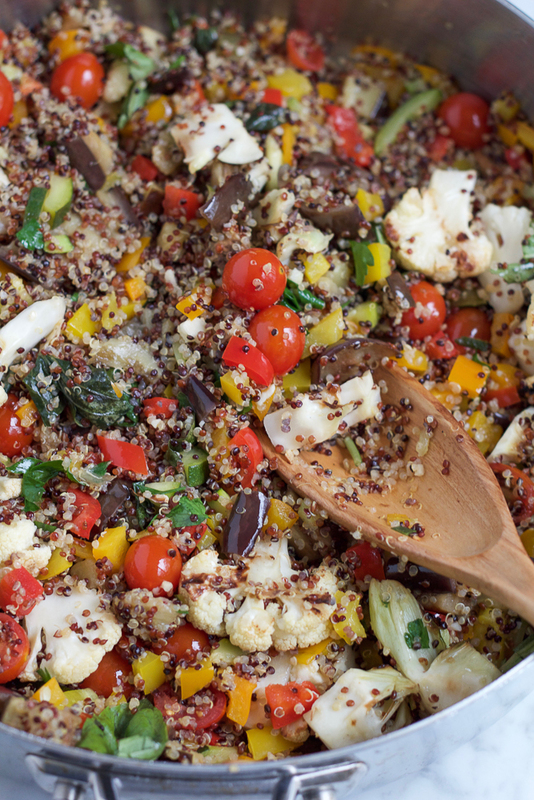 Did I mention how easy this summer quinoa salad is to make this? I hope you check out my video! Heat the olive oil in a large sauté pan over medium high heat. Add the garlic and sauté for just a minute. Add in the eggplant, zucchini, bell peppers, cauliflower and tomatoes and sauté for about 3 to 4 minutes. Alternatively, if grilling the vegetables: chop the grilled vegetables and then add into the pan. Add in the cooked quinoa and lightly drizzle with 1 to 2 teaspoons of olive oil. Add the lemon juice, red wine vinegar, salt and pepper and gently stir everything together. Add in the basil and parsley and toss together for just a minute or two. 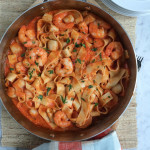 Serve with entwine's Pinot Grigio and enjoy! Before I go, I’d like to take a second to address the state of our world today and everything going on. I’m from Dallas, Texas, born and raised there and my parents still live there today. My father owns and operates a sushi restaurant in downtown Dallas, which was minutes away from all the gunfire and chaos that happened last Thursday in Dallas. After making sure all the customers were able to get out safely, most of which were able to run or walk home, my father took refuge in his restaurant because the police were not allowing anyone to go anywhere, and so he was able to go home around 5am the next morning. Safely. When I found out what happened in Dallas and where, my hands were shaking as I was calling my father on the phone. And just yesterday, here in Madison, nothing violent or bad happened, but a Black Lives Matter protest/march all of a sudden started while I was at the capitol yesterday with my daughters for the art fair. We immediately left because I didn’t want to stick around in case something crazy happened. There’s supposed to be several coordinated protest actions happening across the country today and throughout this week. Voice your opinions but let’s be careful and let’s be smart. Disclosure: This is a sponsored post in partnership with entwine wines. All opinions expressed here are 100% my own. Thank you for supporting me in working with the brands and products that I use and love. Samina, you are so sweet, thank you!!! Thank you Megan!!! I am so excited!!! This salad just screams summer Alice! I love all the colours that are going on and the quinoa adds a nice little protein boost too. Dannii, YES!!! thank you so much! 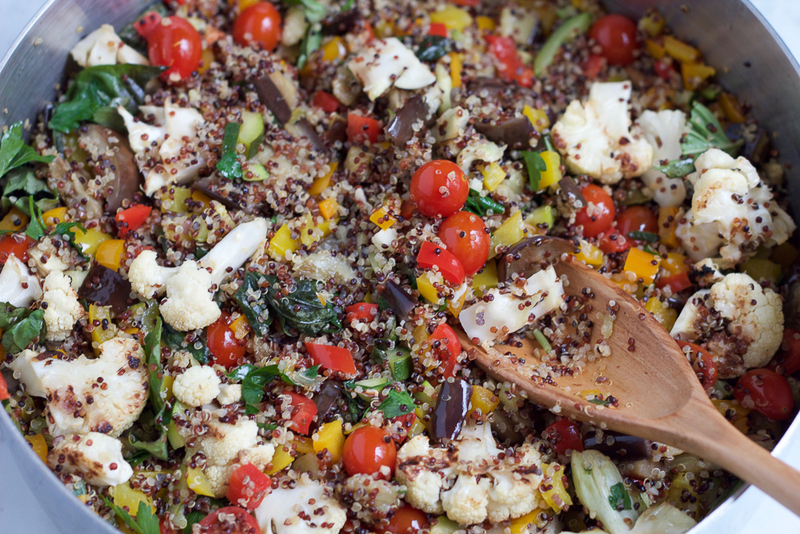 Quinoa salads are my absolute favorite thing to whip up, especially during the summer. 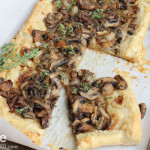 This dish is so beautiful, Alice! I love the pretty colors and flavors. And your video is just perfect! Thank you so much, Gayle!! So cool you will be taking a nutrition certification course! I hope you have lots of fun!! Be sure to come back and give us all the 411! 😉 LOVE this salad, Alice! 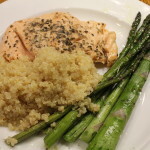 Quinoa is so delicious, but adding all the delicious summer produce makes this amazing! Love the colors too! Cheers, friend! P.S. You are STILL a video ROCK STAR! This salad is perfect for all the gorgeous produce coming out of my garden this year! SO packed full of goodness! I could live on this salad, Alice! 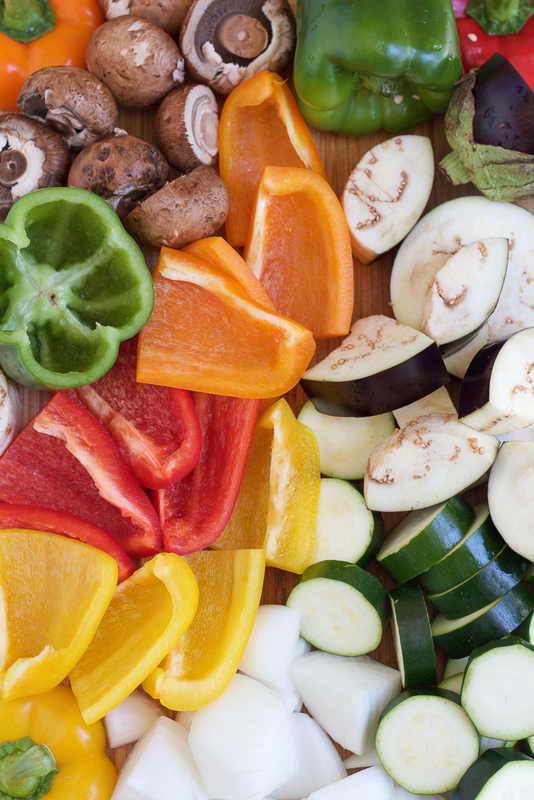 Love all those colorful veggies! the salad look so colorful and perfect for summer! love it Alice! Manali, thank you so much!!! That’s so exciting Alice! 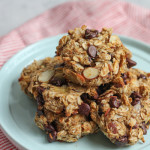 I’ve been thinking more and more about taking a nutrition course…I’d love to hear how it goes! 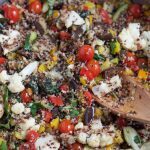 And I love this salad, there is nothing better in the summer than a light, refreshing quinoa salad and this one looks delicious. Hi Denise, thank you so much! I am super pumped!!! Your class sounds like SO much fun, Alice! I took a nutrition course my last semester and it was one of my favorite classes at school so far! I want to hear all the details! 😉 Meanwhile, this salad? 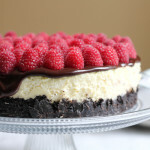 NEED this summer goodness in my life now! So excited for your nutrition class, Alice 🙂 It’s going to be awesome! Can’t believe how quickly this summer is flying by already too! 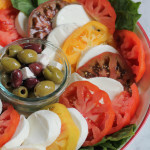 Love all the summery goodies in this delicious salad! This class sounds exciting! I can’t believe summer goes so quickly! This salad looks amazing! Can’t wait to try it! I would LOVE to take a nutrition class. There’s so much I don’t know, and unfortunately, the Internet has a lot of incorrect or conflicting information out there. I need to learn the real deal! This salad looks amazing. 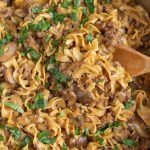 I’m adding it to the dinner plan for next week! this salad is Pure SUMMER.